We are all familiar with various movement manufacturers, and how the watch industry is split into companies that use in-house movements, and those that use “off-the-peg” movements. Time for some openness, and for a totally new approach to movement design. 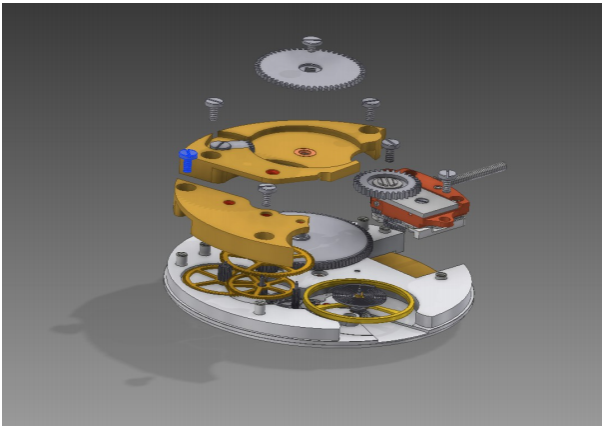 5 Swiss watchmakers got together to develop an open-source construction for a watch movement, e.g. the plans for the components will be freely available, and anyone can use them to make the movement or parts for the movement. There is no copyright, and no royalty to pay. This will also enable schools to use the plans to teach their students, and watchmakers to make parts to repair such a movement without any problems. More likely, they will be able to choose parts from a pool of manufacturers once this design approach takes hold. The first movement coming out of this project is the OM10 – a manual wound movement, 30mm diameter, sub-second at 6 or 9 o’clock, with a later automatic winder option, beating at 25,200 bph, with 50 hours of power reserve and a date with quick-set function. The construction will allow a manufacturer to finish the movement to chronometer grade, if he wishes to do so. 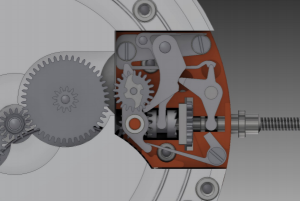 Further projects are the OM20, with a smaller diameter (25.6mm), a central second, and a base movement that is constructed in a way that it will be easy to add further complications later, e.g. a chronograph or other features. Once the development of the OM10 is complete, detailed construction drawings will be released, and the manufacture of construction kits will begin. 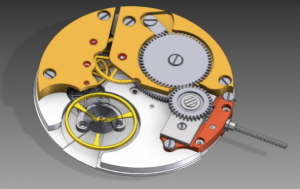 This will enable even small watch manufacturers to build a watch with a unique movement, that is not off the ETA peg, but something that is much more interesting for the watch buyer. One can imagine that movement manufacturers all over the world will use the construction drawings to make complete movements in various grades for the watch industry. The OM Committee – Roman Winiger, David Olafsson, Marion Mueller, Cedric Auberson and Philipp Wittwer. This is a vision that goes far beyond just having an open source movement, but to make a piece of watch history that will stand out from anything we have seen so far. Currently, all the knowledge about a movement is held with the manufacturer, and it will stay there until it is finally lost. The openmovement movements will be able to live on for hundreds of years, with the ability to be reproduced to the exact original specifications. A modular view of the OM10. Note the separate assembly for winding/setting, which will allow further extensions to the movement. Looking at the first version of drawings, you can see that even though the OM10 is simple, it does not lack finesse. No wire springs to be seen anywhere, and the separate assembly for the winding/setting mechanism will allow easy extension of the OM movement range in the future. The movement is fairly thin and elegant, and has all it takes to become a true classic. The bridge shapes and the click in the images below are placeholders at the moment. The final shapes will be determined in a group-oriented process. 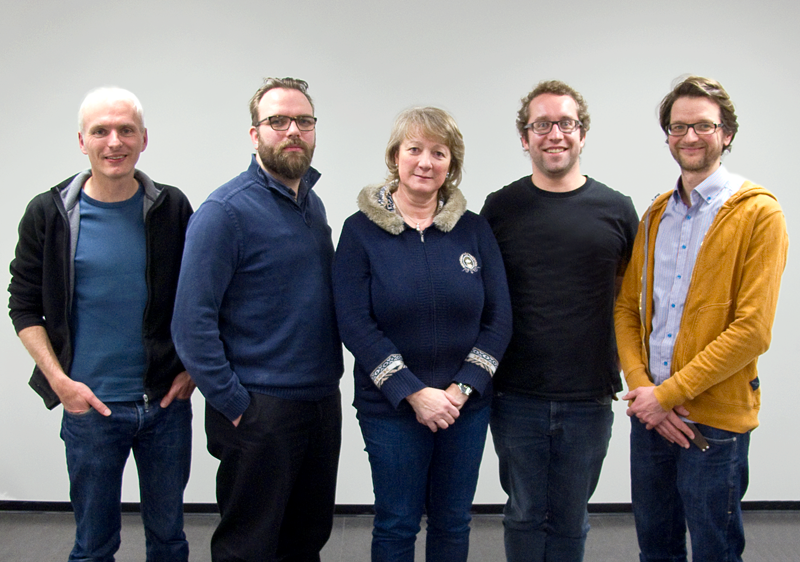 All registered openmovement supporters will be notified as soon as the shapes are agreed. This is a huge opportunity for watch manufacturers that have been hit by the Swatch embargo, as they can not use ETA movements any more. Openmovement will allow them to use something of timeless elegance, and choose a manufacturer of their choice, rather than having to go with what a manufacturer can offer them. Over time, new contributors will emerge, and add more and more open source additions to the base movement, so that in the long run, we might see anything from triple date movements to three register chronographs. If you feel that this is a positive step in the right direction, please support openmovement by becoming a member at http://www.openmovement.org/?mitmachen&lang=en . Such an obvious progression. Brilliant idea and concept; the Linux of the Microsoft world. Can’t wait to read a test and review of an early prototype on the watchguy page. This is a great idea,that deserves all the support it can get.Watch buyers have been screwed by watch brands,with all their marketing lies for years.And the so called watch nerds,who believe all the marketing hype.I have been writing about watches for many years,and it still amazes me that even people with knowledge about watches cannot see the lies they are fed by the industry. this is only my opinion but the movements they designed is nothing special at all,and I think this project will never moves far forward. Some in-house movements are very well made and decorated pieces of engineering (Patek Philippe, AP, Lange & Sohne and many others) with the hundreds of years history and knowledge and this is what is all this about. Great idea. I love the idea of with the plans available that the watches can in theory be maintained forever! Fair play to them. What a fantastic idea! I’ve worked in technology for over 30 years, so am very familiar with the success of open-source software for instance. I’d be first in line to buy a reasonably priced watch based on OpenMovement. i think this is marvelous idea this will put all the after sale costs of other brands to suffer cause in the future this could be the standard movement in the industry and anyone can work with.